I’m not JK Rowling. Honest. Or am I? And if I was, would there be anyway for you to know? This is one of those philosophical questions along the lines of if a tree falls in the forest and there’s nobody there to hear it, does it make a sound? It’s a fine philosophical game that JK Rowling recently played on the world with the revelation that she has been writing crime fiction under the pseudonym of Robert Galbraith. 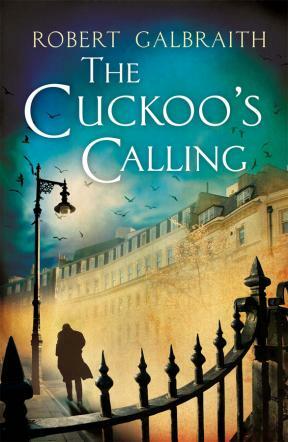 Her first novel, The Cuckoo’s Calling, came out three months ago with some very nice cover quotes from Val McDermid and Mark Billingham (who didn’t know it was Rowling at the time they reviewed the book). JK Rowling plays the shell game. Hats off to JK. With the amount of grudges the .lit establishment has to settle with her for the double crime of writing fantasy fiction and writing popular fantasy fiction, not to mention the envy at her “My other home is a castle” financial success, this was the only way she was going to get a neutral reception and a fair trial at a new genre (as evidenced by the attack dogs who pounced on her other non-Potter work recently, The Casual Vacancy). I suspect it was the very unfair mauling she got for The Casual Vacancy that made her take a pseudonym for her new crime work. And a fair trial is what her new work got. She received glowing reviews from a number of newspapers for the book, with the Daily Mail in the UK making it their recommended ‘beach read’ for the summer; Val McDermid, the current mistress of the genre, went to town with the honeyed praise. … the most interesting thing about the whole affair are the facts uncovered when you dig a little deeper. JK’s agent tried to place The Cuckoo’s Calling with all the usual suspects among the big six (five? ), but was rejected by all of them, and only accepted by her current publisher (Little Brown via their Sphere crime imprint), when they were let in on the secret of the author’s identity. Kate Mills at Orion is the first to gallantly fess up, tweeting “So, I can now say that I turned down JK Rowling. Anyone else going to confess.” Probably not. Rejected JK Rowling isn’t one for your CV, to be honest. The Cuckoo’s Calling‘s sales before JK’s secret popped out? 1,500 books sold. If ever there was evidence of the death of the mid-list, this is it. A well-written crime novel with great mass media reviews, created by the UK’s best-known author, glowing author blurbs attached, and on its natural trajectory, it would have been (a) rejected by every one of the big legacy players, and then (b) vanished without a trace with a meager 1,500 sales – numbers no debut author would ever get a second contract on. Of course, that isn’t the novel’s destiny now. JK Rowling’s name behind it? Straight to number one in every book chart on the frigging planet. Ker-ching. I’m incredibly happy for JK Rowling. What a great wheeze. Even the Cuckoo in the title was a clue for the clueless. But for Robert Galbraith and all the other Robert Galbraiths out there, struggling on their first novels, published or unpublished, I’m not exactly filled with confidence and convinced that my fate-assigned role as the Victor Meldrew of genre fiction is redundant quite yet. JK Rowling, here’s your second assignment from the Impossible Mission Force should you choose to accept it. For your next non-Potter work, have an agent shop it around all the big publishers under another alias. If it’s rejected, have it published on Amazon as an e-book under a new pseudonym. See if it makes a dent on the charts or just sinks to number 1,500,000,000 on the charts. The answer to that would tell us a little bit more about the brave new world of 21st century publishing. Readers, I am JK Rowling… how about you? I’d like to take this opportunity to state that I am not J. K. Rowling, either. Well, I’m not JK Rowling either. But I was thinking, while it’s true she didn’t sell many copies of the Cuckoo’s Calling, it’s also true she couldn’t really go out and market the book either. I mean, she couldn’t go give a talk at a bookstore or any other in-person event without totally giving the game away. I don’t know how much that sort of marketing might have helped, but it might have given her somewhat better sales. « Brazil goes all steampunk for Jackelian novels.